Why the new exhibition matters now. 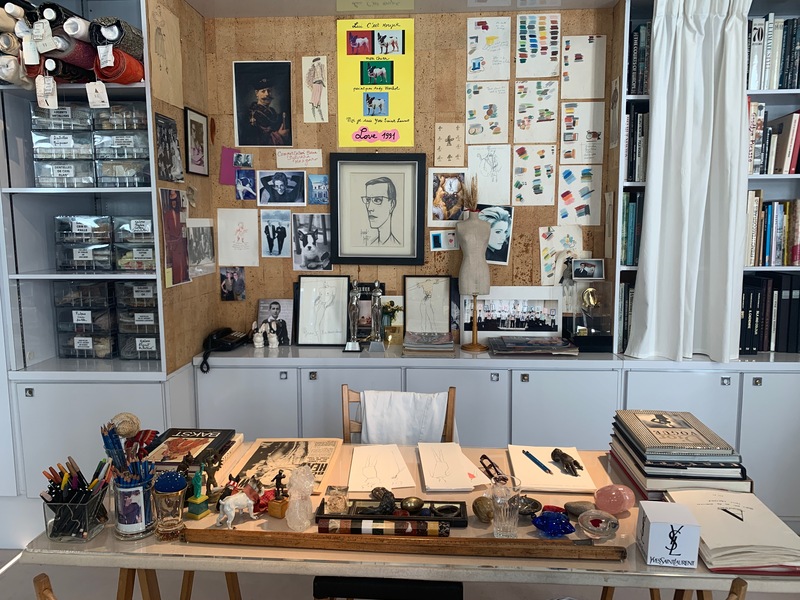 A sight of 50 Yves Saint Laurent haute couture dresses, sketches, and newspaper cutouts flooded my vision as I walked through mirrored corridors of The New Display for the Collections exhibition at Musée Yves Saint Laurent Paris recently. A sense inspiration and melancholy struck me as I realized that this kind of innovation is what many big fashion houses have forgotten today. There is so much controversy these days about designers who profit from other cultures or have lost their creativity altogether. This is what crossed my mind as I made my way through the YSL exhibition. The looks ranged from the iconic Babushka wedding dress to the Mondrian shift dress. All of the masterpieces were inspired by artists of the time and had impacts beyond Saint Laurent’s French heritage. The iconic designer had an eye for translating visual art into wearable fashion. 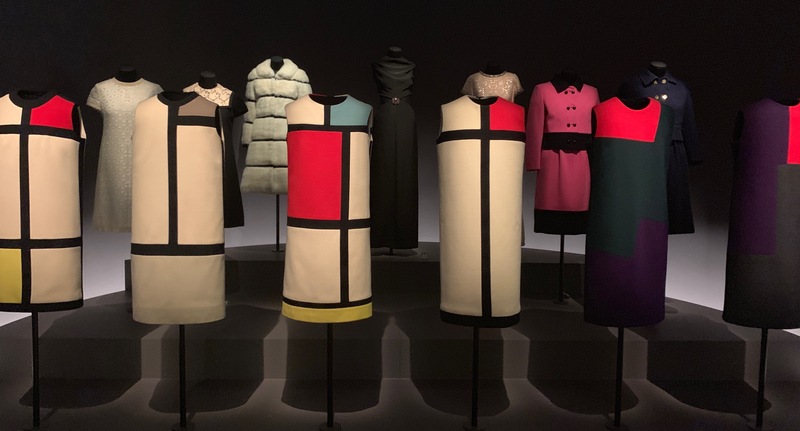 In an interview with Vogue, Saint Laurent himself stated, “making a dress inspired by Mondrian or Poliakoff, is putting their artworks in motion.” This vision for what can be created has been lost in many ways. Making money is at the forefront of many designers' minds as most luxury fashion houses are now owned by a handful of larger conglomerates. Yes, fashion is a business first and foremost, but it always was. Saint Laurent mastered the ability to make something dreamy that was at once authentic and sellable. The exhibition gives an awe-inspiring aura as I walk through the gilded doors. It begins with background, primarily on the Mondrian Collection, and touches on a more general history of the French designer. The Mondrian collection is first presented in photos and a neon rendition of the dresses. Finally, I see the real things- six thick knit, colorful shift dresses that seem larger than life. Though I see the key dresses first, the rest of the exhibit does not disappoint. There is an outpouring of beautiful gowns, photographs, and videos as I walk through each seemingly private room. On the second floor there is a visit into Saint Laurent’s personal studio. It is filled with a perfect mess of sketches, fabrics, and accessories. A space which helps solidify his artistic status, with a fully mirrored wall and natural light pouring through the windows. As I walk back down the stairs into the final hallway, I’m as inspired as the second I walked in. A true visionary, the exhibit captures the creative and often outlandish designs of Yves Saint Laurent. In short, The New Display for the Collections exhibition at Musée Yves Saint Laurent Paris shows how the designer created breathtaking haute couture looks that stood the test of time. It also demonstrates how many designers today have been playing everything too safe and straying away from creating anything genuinely new, or even looking beyond the fashion industry to other cultural elements to take inspiration. The New Display for the Collections should not be missed, for art and fashion lovers alike. 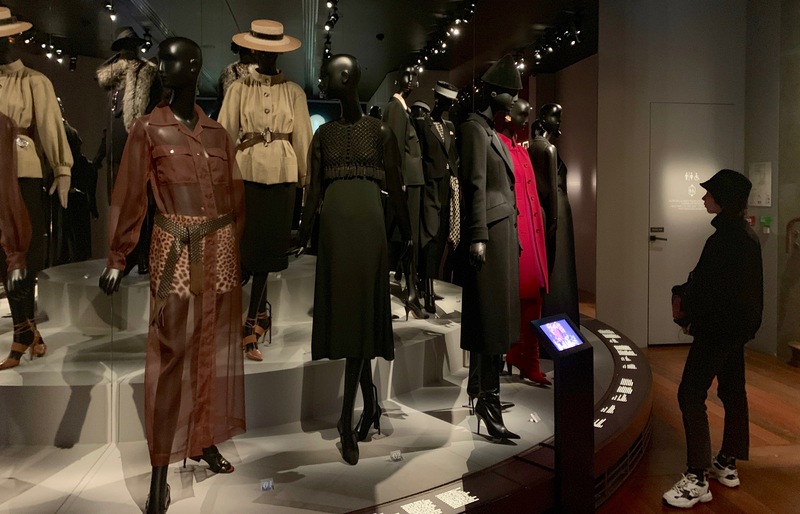 The New Display for the Collections exhibition at Musée Yves Saint Laurent Paris is open Tuesday-Sunday from February through December 2019 at 5 Avenue Marceau 75116 Paris. Liza is a graduate student at AUP currently pursing a master's degree in Global Communications and Fashion. Liza has an art history and visual cultures background, giving her a fresh take on the fashion industry today.